Residential composite fencing provides a natural look of wood or stone fencing without the required maintenance or wear and tear. 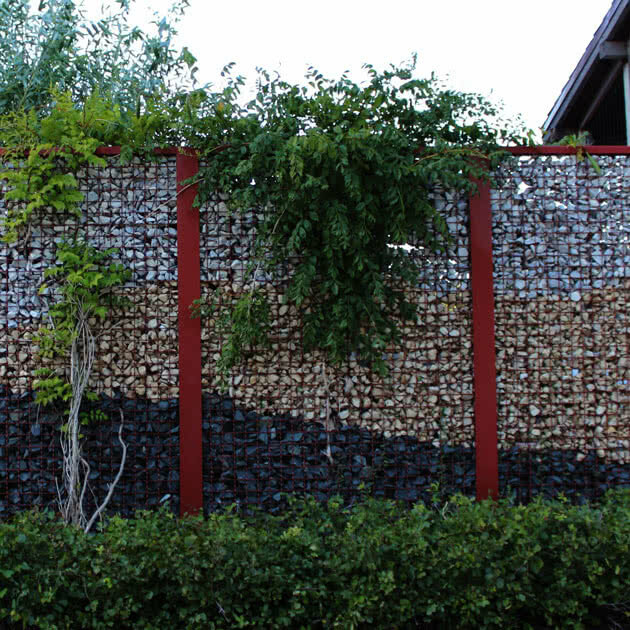 The design of composite creates a beautiful, identical look on both sides of the fence. Our partnerships with Trex Fencing and SimTek Fence, the two leading composite manufacturers, provide a variety of styles, colors, and heights to help match your budget and product type. Interlocking pickets prevent long-term warping and bowing. Not only does this provide added seclusion and privacy for your yard, but it also helps your fence hold up better against wind and other elements. Recycled content is used in the material construction, which contributes to the sustainability of our environment. Minimal maintenance is required since the composite is unaffected by insects and rot. We offer two brands of residential composite fences that provide different specifications and price points. A sales rep can provide the exact specifications based on the fence you choose. Trex composite fencing is made of both wood and plastic. This company's special formula pairs the strength of wood with the durability of plastic. SimTek is made from a proprietary blend of virgin and recycled polyethylene plastic, and reinforced with galvanized steel in every post and every panel. 3', 4", 6", 8", 12"
Trex ColorsThree rich, natural colors are available. These colors will have some fading over time from weathering. Simtek ColorsThese color options are all fade-resistant for a lifetime of vibrant color. Add the finishing touch to your fence design with matching post tops. Matching composite walk gates and double drive gates are available to match all styles, sizes, and heights and include standard hinges and latch. Composite fences are low maintenance since they are unaffected by insects or rot. 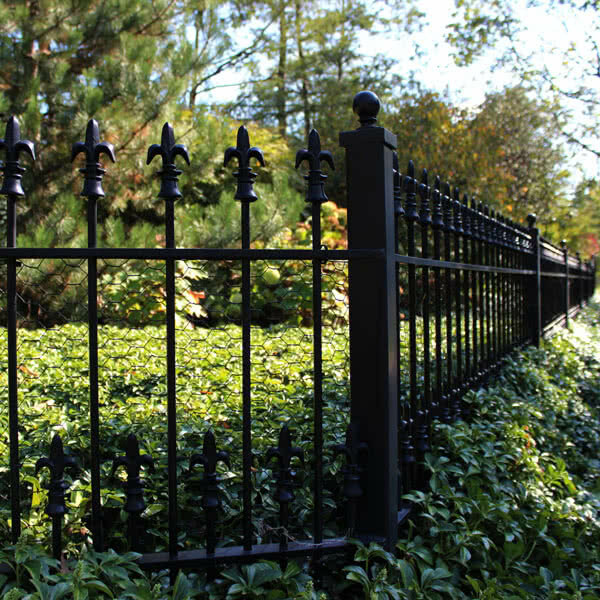 Learn more on how to care for a composite fence. Limited Warranty that warrants these products to be free from manufacturing defects in materials and workmanship under normal and proper usage. Learn more about our warranties. Great experience. We love our new fence!